It’s that time of year again, when the sun is shining, the people are smiling and we see all the colours of the rainbow come out—it’s Pride 2018! 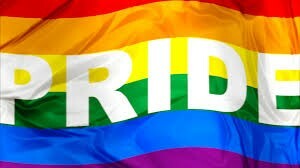 June is Pride month and at UTM we are very proud of our diverse community of students, staff and faculty. On June 1st at 10:30am, outside of the Student Centre, there will be a Pride Flag Unfurling to celebrate Pride 2018 in acknowledgment and support of our LGBTQ+ community at UTM and abroad. Please join us at this event if you identify as member of this community, an ally, an advocate, or a friend—all are welcome. We look forward to your attendance!